Tankless water heaters have plenty of great attributes, but there can be some concerns with a few of the details. 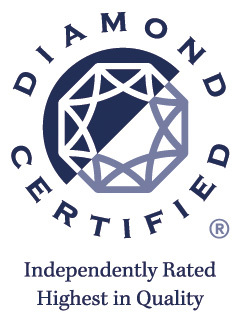 We are here to help you do your due diligence! The newer tankless water heaters being produced are quickly fixing these problems and we are going to see if they are a good fit for you. A burden for people who want to install a tankless water heaters is that regular water heater models have input and output water lines that are on the top, where tankless models have theirs on the bottom or side of the unit. Hoping to improve the ease of installing a tankless unit, manufacturers are now making tankless models that have the cold and hot lines on the top of the unit. Another bummer for owners of older tankless units was the issue of inconsistent water temperatures, also known as the “cold-water sandwich”. This occurs when the hot water would suddenly become cold and them become hot again very quickly and then go cold just as quickly. Many companies have now attempted to correct this problem by adding recirculation systems and adding new technologies to ensure that your tankless unit has a reliable flow of hot water. Older tankless units used to require routine maintenance to deal with the scale buildup that caused these units to become less efficient and added to the overall cost of owning tankless units. Manufacturers listened to their customers’ complaints about this issue and have designed models that now make the required maintenance easier to deal with and cut down immensely on the scale buildup. Ecosmart diligently pursues “greener” technology and is based in Florida. One of the main draws of tankless systems is that they can save a homeowner an appreciable amount of energy and Ecosmart’s tankless units shines brighter than most units. Many of their models have been known to give homeowners up to a 60 percent energy savings; however, it should be noted this is all relative to each home’s specific hot water needs. Rinnai tankless water heaters have been around for almost a century so they have heaps of experience when it comes to tankless water heaters! Earlier in this blog post, we discussed some of the newer features being introduced by manufacturers of tankless water heaters and Rinnai is at the forefront of this technology. 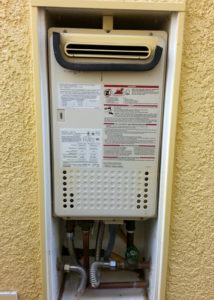 For example, to correct the issue of intermittent flows of hot water, Rinnai tankless units have added a recirculation unit to many of their water heaters. The recirculation technology ensures that your water is hot when you turn it on and that it stays hot. We talked about the age-old problem of scale buildup in older tankless water heaters that hinders the units from running at peak efficiency. To help with that problem, Rinnai has added isolation valves to some of their units, which are designed to help make the required routine maintenance and descaling of the units easier. For more information about Rinnai water heaters, you can go to their website here: https://www.rinnai.us/water-heater/products. We conclude our round up of reviews with a look at the manufacturer Noritz. 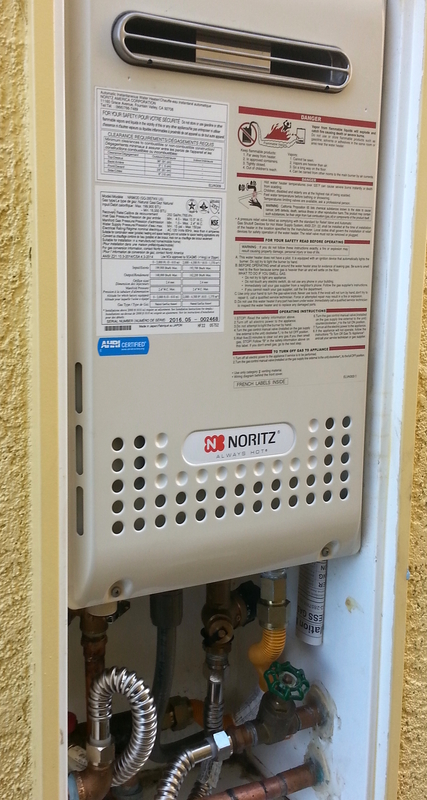 Noritz is known as one of the top brands out there and that is because they provide units that attempt to eliminate just about every negative aspect of tankless units. For example, we discussed above the issue with tankless units being difficult to install in areas that previously had a standard storage tank water heater. Noritz now makes a tankless water heater that has both lines on the top of the unit making for an easier – and cheaper – installation. Noritz tankless water heaters are also very environmentally friendly. Many are made of recycled parts and materials and the company has worked hard to cut the carbon footprint of the units by dramatically reducing their carbon emissions. For more information about Noritz water heaters, you can go to their website here: http://www.noritz.com/. In Sacramento, there are some issues that have to be looked at before installing a tankless water heater. The first thing to check is to see if you have galvanized plumbing. Our technicians find that to be a very common occurrence in Sacramento and, if your home does have galvanized plumbing, that could result in a much higher cost to install a tankless unit. The reason is that the plumbing would have to be replaced since galvanized plumbing can lead to major problems for your tankless unit. One complication that could occur stems from the flakes and bits of metal that can clog up the unit and cause it to fail or, at the very least, not work at optimum efficiency. Another question is for residents of townhouses or condominiums. People who live in these types of buildings often share a common flue and that air passage needs to be checked. If it is not up to code, it may need to be renovated. Many of these condos or townhomes are managed by HOAs (Home Owners Associations) and their approval for the renovation is a hurdle to jump over before any changes are made. We want to thank you for your time in reading our latest blog entry! We hope you found it informative and helpful. We don’t want to dissuade you from considering a tankless water heater and we know information is power so we wanted review this fantastic option. We want to make sure all of our customers are as informed as possible before making a major decision regarding their home. Of course, a call to our water heater experts is the best way to make an informed decision. 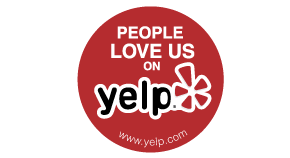 You can call us at (916) 448-2113 24 hours a day, 7 days a week and we will be happy to help you. We can even schedule one of our technicians to come out to your home and take a look at your situation. Once we have taken a look at your home and your current water heater, we can provide you our best recommendation as to whether tankless is best for you and your specific situation.